TOKAJI.com .::. 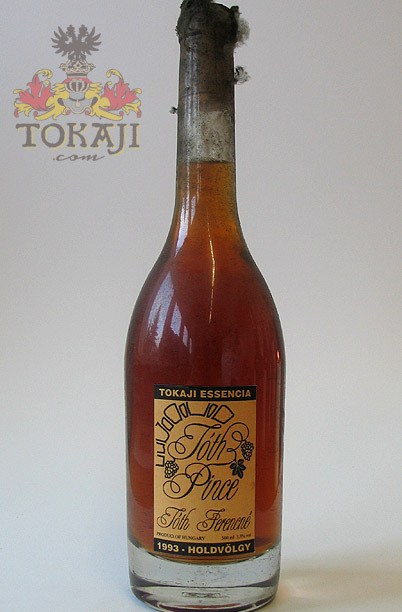 Buy Tokaji Essencia : 1993 Tokaji Essencia "Holdvölgy"
You are here: Home BUY TOKAJI Buy Tokaji Essencia 1993 Tokaji Essencia "Holdvölgy"
The Holdvölgy vineyard, referring to "Moon Valley", is located at the north-western corner of Mád and covers one hectare. It faces south west and is situated on plateau, allowing a stronger sun exposure and frost protection. In the records of 1798 and 1867 Holdvölgy was listed amongst the Second Class Growths.